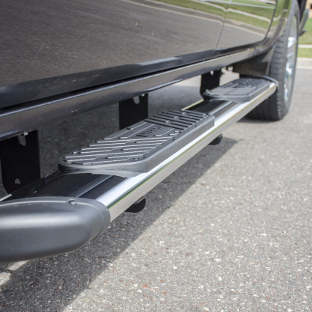 Regal 7™ oval side steps are all about providing your truck with safe, comfortable footing and a deluxe accent. They feature a nerf bar styling with an unprecedented 7" width. 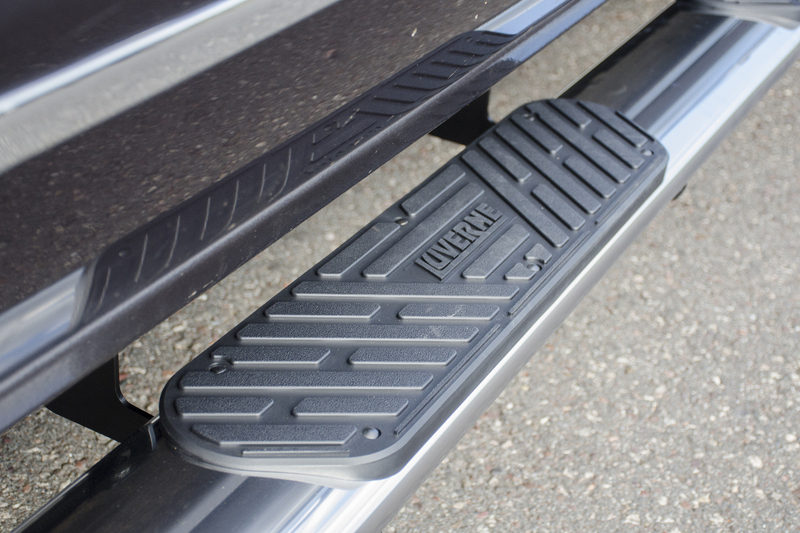 They are also equipped with 7" wide, non-skid step pads for the easiest step up into your truck you've ever experienced. 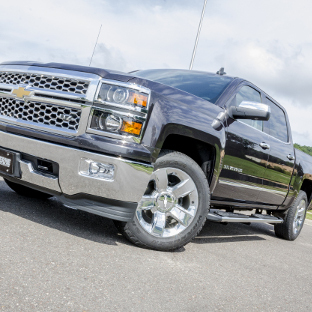 All Regal 7™ side steps for trucks are constructed in the USA from non-corrosive stainless steel. This makes them well-suited for work or play. 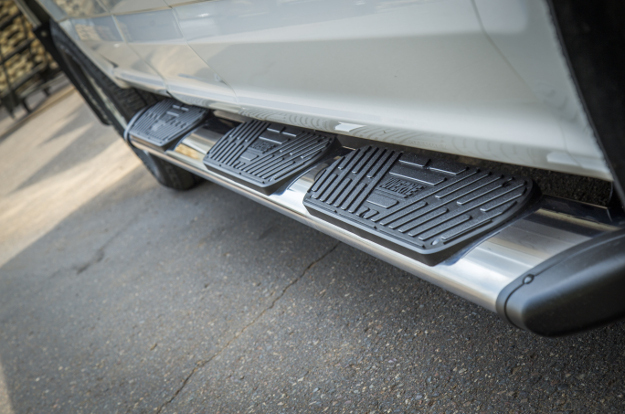 Each set of Regal 7™ side steps is engineered for vehicle-specific application, using factory mounting points for an easy, no-hassle installation. 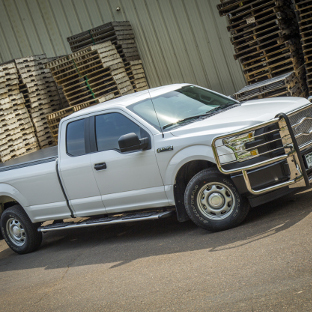 Whether you're towing your travel trailer across the nation, getting some work done on the jobsite or just cruising the avenue, Regal 7™ truck side steps equip your truck with dependable footing. 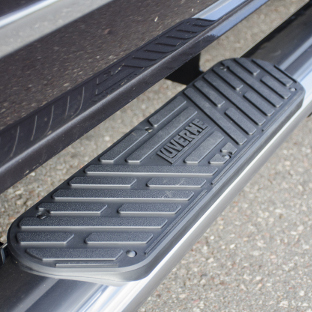 The 7" wide step pads cover the entire width of the running boards, and they feature a raised design, providing a flat, comfortable, safe stepping surface every time. The step pads are constructed from tough polypropylene to resist wear and UV damage. For excellent traction in any type of weather, they are complete with a rugged, textured surface. 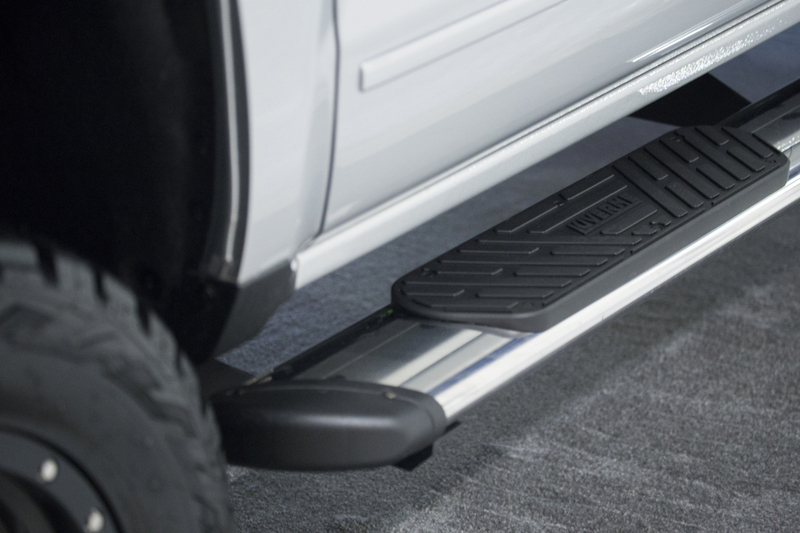 Regal 7™ oval side steps not only provide safe, comfortable footing, but they are also designed to add a deluxe accent to your full-size pickup truck. 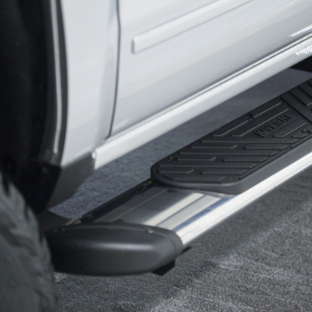 The 7" wide running boards feature a smooth, elliptical design and are accented with matching angular step pads and angular end caps. The bold black end caps are securely bolted in place right out of our factory. They help protect the boards against minor scuffs and scratches from road debris, and they eliminate any sharp corners. Note: The boards are not enclosed tubes but are open on the bottom. 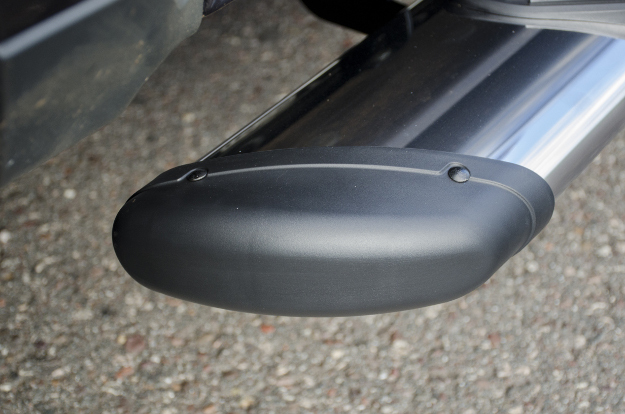 Wherever the road takes you, rain, snow and even the sunshine pose a constant threat to your truck and truck accessories. 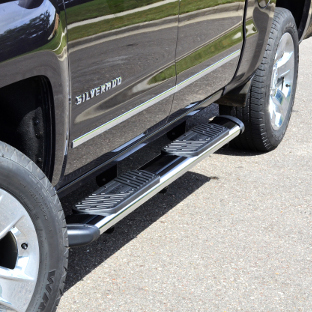 As such, Regal 7™ side steps are constructed from stainless steel. 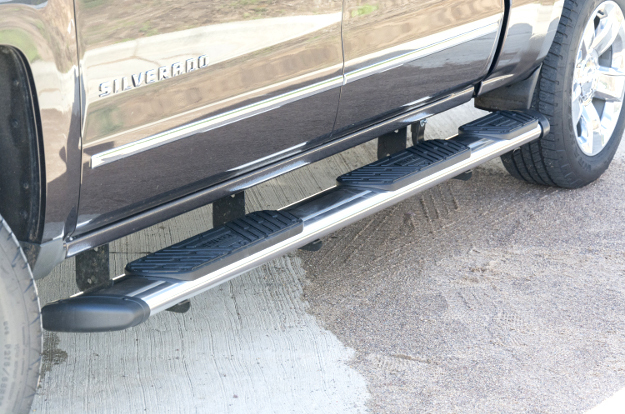 Stainless steel provides the necessary strength to equip these truck side steps for tough jobs. It also offers excellent rust and corrosion resistance in spite of the elements. 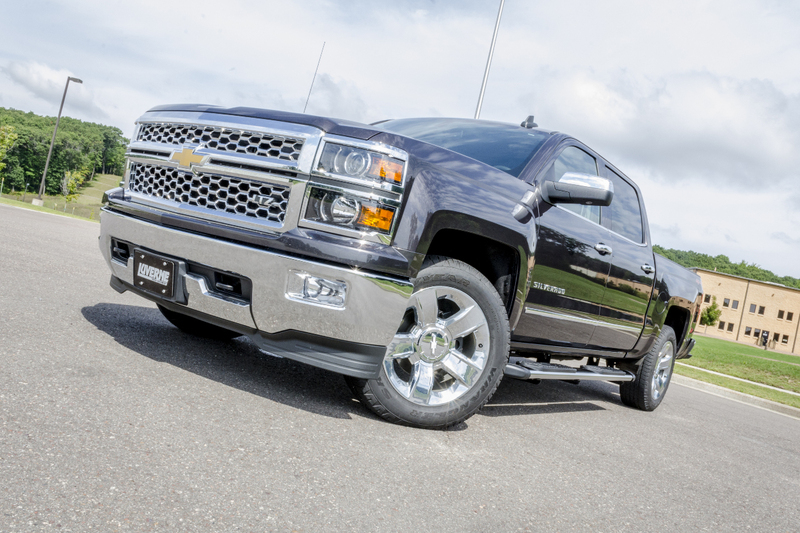 The running boards are able to provide a rigid step and maintain a clean finish, season after season. 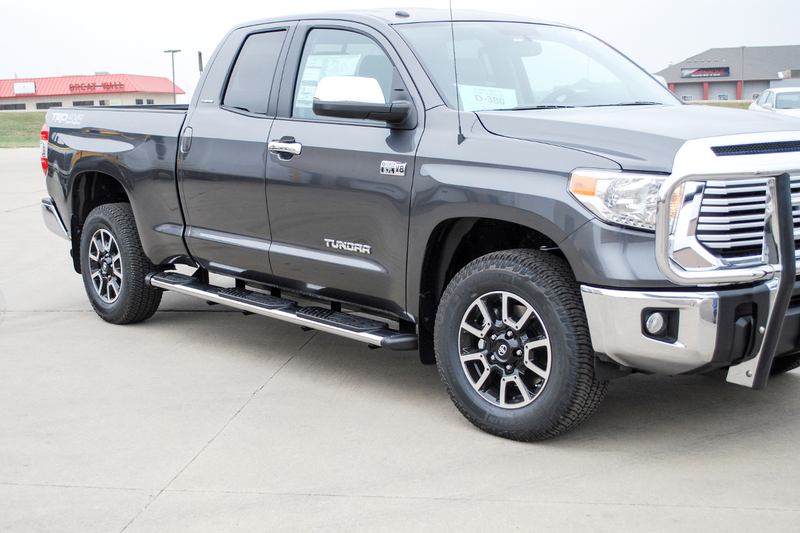 To ensure full integration with your truck and a truly professional accent, Regal 7™ side steps are available in two durable finish options. 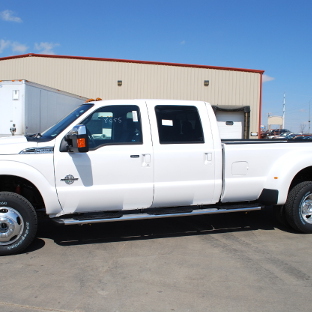 This allows you to match the look of your truck, tailoring it to your exact personal tastes. Our polished stainless steel side steps are made from 436 stainless and are completed with a high-polish finish. This gives them a mirror-like shine that will turn heads and easily outlast the elements. 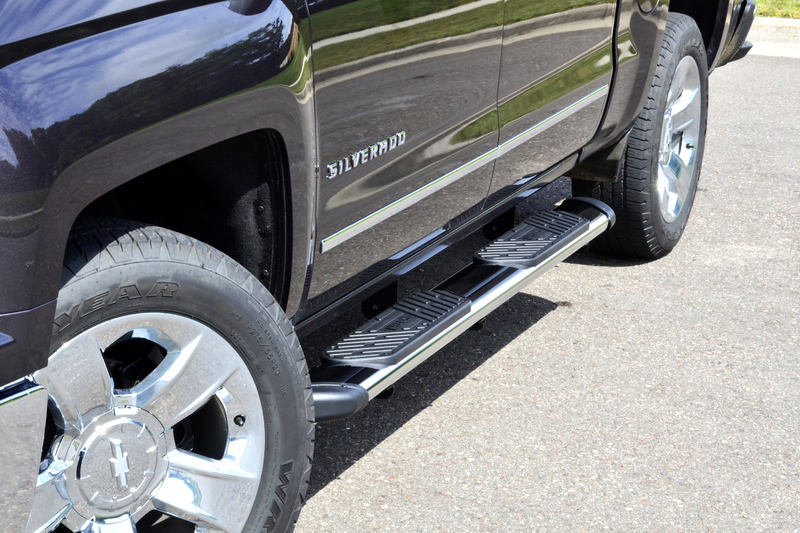 Our black side steps are made with 409 stainless steel and have a textured black powder coat finish. This durable shield maximizes rust resistance and provides a sleek accent. 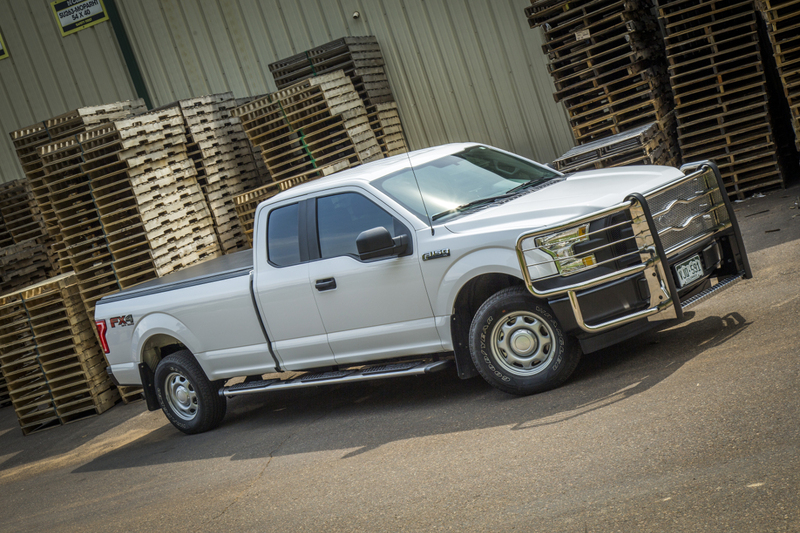 To optimize integration with your truck and make these running boards an extension of its existing design, all Regal 7™ truck side steps are made vehicle-specific. 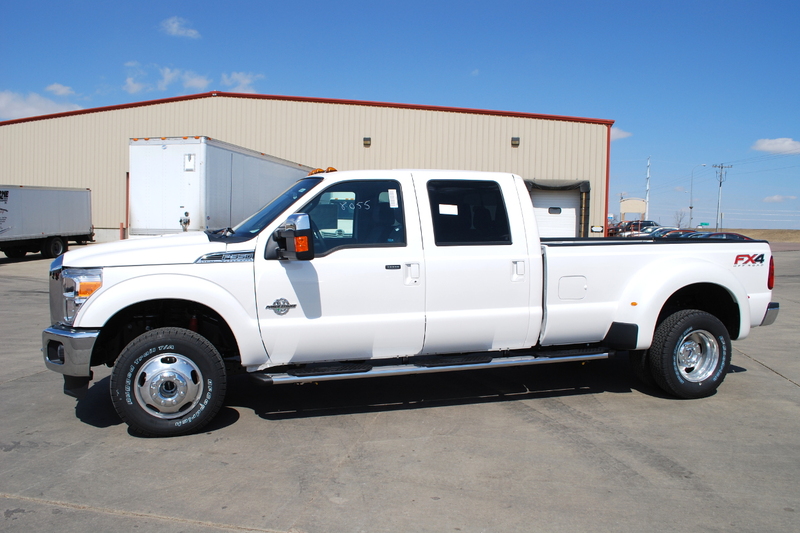 The boards, step pads and brackets are all customized to fit a unique truck make and model. Regal 7™ side steps are easy to install, utilizing pre-existing mounting points to streamline the installation as much as possible. The brackets are also constructed from powder-coated steel for a rigid step, and they use stainless steel fasteners for durable, long-lasting strength. 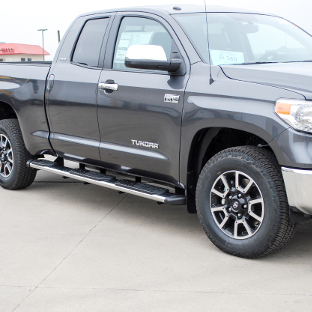 Enhance your truck even further with Regal 7™ oval wheel-to-wheel steps. 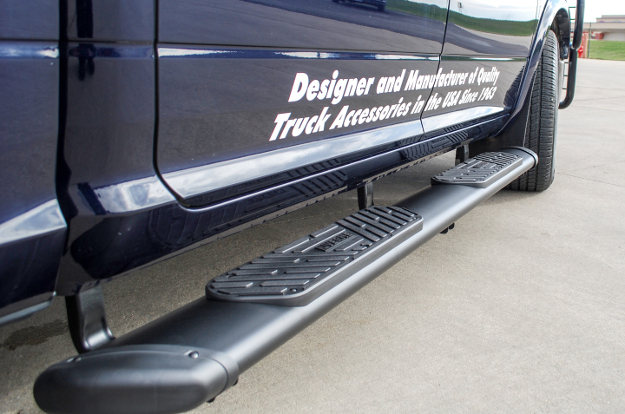 These extra-long side steps are designed to extend past the truck cab, providing an extra step pad at the rear for easier access to the truck bed. No more straining to reach that 5th wheel hitch, truck tool box, headache rack or other truck bed accessories. 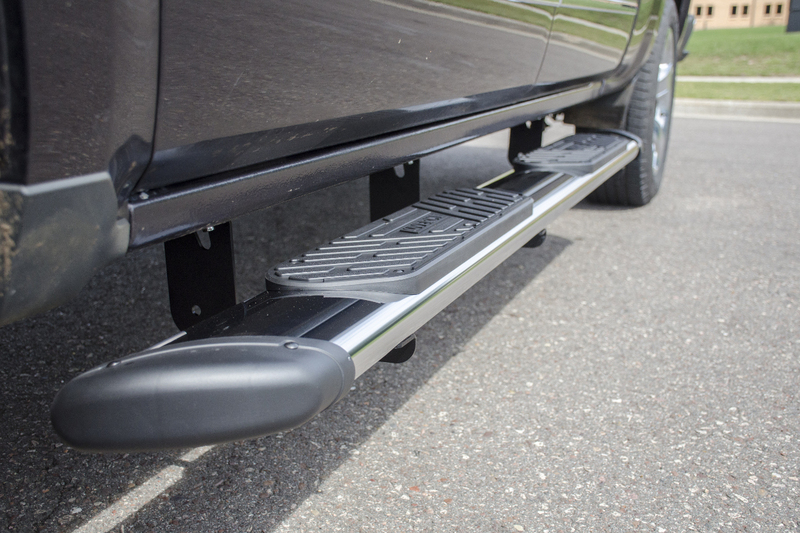 Wheel-to-wheel steps are available for select pickup trucks and feature the same vehicle-specific installation. Note: Wheel-to-wheel steps are only available in the polished stainless finish option.